BLOOMINGTON – Didn’t we all start to think this was a distinct possibility? : That although the two Normal-based Unit 5 School District high schools have already seen their girls’ basketball teams play three times this season, with Normal Community High School holding a 2 games-to-1 edge, that the two sides could face each other one more time before the season was out with advancing to Sectionals on the line? No doubt while that was in the back of our minds, none of us could predict how those two local teams would do in their individual Illinois High School Association Class 4A regional semifinal matchups held at Bloomington High School Tuesday night. Second seed NCHS discarded 7th seed Danville to open the evening, 76-42. Fans of 3rd seed Normal Community West watched their favorite team outpace 5th seed Bradley-Bourbonnais, 47-35. As a result, the two local teams will meet for a fourth time this season. That showdown will take place at BHS Thursday night starting with a 7p.m. tipoff. Normal West 47, Bradley-Bourbonnais 35: Normal West started hot right from the opening tip, jumping out to a 6-0 lead on a trio of deuces – two to start the game from junior guard Olivia Demosthenes and one from senior forward Tresoir Newson. That lead was extended to 10-5 on baskets by senior forward Anna Gibbs and Demosthenes, and became 13-7 on another Demosthenes deuce and a free throw from junior guard Jess Leftwich. But Bradley-Bourbonnais closed out the quarter with a deuce from junior forward Gaetana Davis, cutting the Wildcats’ lead to four, 13-9, entering the second quarter. But the Wildcats opened next quarter on a 6-0 run thanks to baskets by Newson and senior guard Jess Jacobs, putting Normal West up, 17-9, prompting Boilermakers head coach Evan Tingley to call time with four minutes until the half. After the timeout, West continued the scoring strike in the form of two free throws from junior forward Rosh Webb, to increase her team’s lead to 10, 19-9, with 2:04 left. A layup by Davis cut West’s lead going into the half, 19-11. West managed to double their score, 22-11, to open the third quarter thanks to a trey from senior guard Whitney Bozarth. Boilermakers senior guard Zoie Langlois countered with a jumper setting off an exchange between the two teams that pulled Bradley-Bourbonnais within six, 26-20 prompting the out-of-town team to call time with 3:52 left in the quarter. Following the timeout, a trey from Demosthenes followed by a Gibbs free throw pushed Normal West in front, 30-22, on the way to a 36-24 lead going into the fourth quarter. The Boilermakers would pull within eight twice more in the last quarter – 39-31 and 43-35 – before a trio of fouls would send three Normal West players to the free throw line for a combined 4-for-5 to finish achieving the victory. Demosthenes was the lone Wildcats player in double-figures on the night with 14 points. Freshman guard Addison Lombardi and Langlois each pocketed 13 points for the Boilermakers on the night. NCHS 76, Danville 42: NCHS went on a pair of scoring spurts in the first quarter – a 9-0 run an 8-0 run – which featured two treys from junior guard Maya Wong in the first quarter which helped push the Lady Iron to a 17-4 lead with 2:37 in the period. Only sophomore guard Erin Houpt’s trey at the 2:12 mark followed by baskets by senior forward Makala Gray and senior center Naomi Woods would push the Lady Vikings into double-digits, trailing 24-11, to start the second quarter. A second quarter trey from Houpt for Danville, and a trey each from sophomore guard Madison Feeney and senior guard Katie Broad, topped off by two free throws by junior guard Jess Leftwich and two unanswered buckets by junior guard Kylee Schneringer sent the teams into the locker rooms at halftime with NCHS holding a commanding 45-19 lead. Third quarter baskets for Danville spurred by an initial basket by Houpt helped close the gap slightly, 50-23, before the Lady Iron, on the strength of buckets by sophomore forward Mallory Oloffson, Schneringer, Wong, and senior forward Abby Feit bombarded the Lady Vikings defenders, extending their lead to 64-25 with 3:50 left in the quarter. After that timeout, deuces by Gray, freshman guard Nau’tika Conway, and freshman guard Tharija Rose helped close out the quarter although NCHS entered the fourth quarter owning a 66-34 lead. Feit led all players in scoring with 21 points. She was followed in double-figures for NCHS by Wong with 14, Oloffson with 11, and 10 from Schneringer. Haupt was the only Danville player to achieve double-figures with 17 points. “We had a pretty good night..can’t complain,” stated NCHS head coach Marcus Mann. “They’re a tough team. They’re a little young and inexperienced, but they were going to bring everything that they have and we’re lucky to come away with the win that we got. 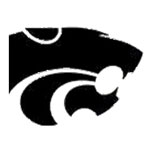 This entry was posted on Tuesday, February 12th, 2019 at 10:34 pm	and is filed under NCHS, Normal West HS, The Normalite. You can follow any responses to this entry through the RSS 2.0 feed. Responses are currently closed, but you can trackback from your own site.